Principles over politics. Honesty in government. We believe that America is exceptional. We believe in Principle over Politics. We stand for Liberty over tyranny. We believe the Declaration of Independence is our most important legal document, because it establishes our Fundamental Right to be Citizens and not Subjects and it guides us in understanding the fundamental differences between Liberty and Tyranny. We believe that our Unalienable Right to Alter our government may be our most important Right because without it, all of our other Rights are inevitably in jeopardy. We believe the two major political parties have evolved into two sides of the same coin. They routinely manipulate and pit the different groups of Citizens against each other, while consolidating their power and wealth at the expense of our freedom and prosperity. In short, we just can't trust them! 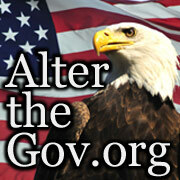 We believe our government has forgotten that it was created to be our servant and not our master. We believe we have a duty to preserve, protect, and defend our Unalienable Rights for ourselves and our Posterity so we will always remain the land of the free and home of the brave. 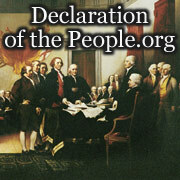 We the Citizens have a Duty to be the last line in the defense of our Liberty. 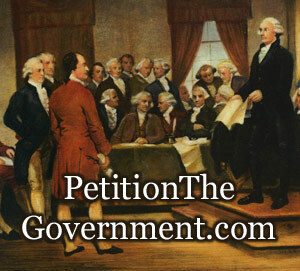 Therefore, the Unalienable Rights Party is proud to host and support the Interactive Declaration of the Citizens, a system designed to stand beside the Declaration of Independence as an instrument of our Right and Duty to propose Alterations to our government and then to peacefully Alter our government by our vote so that our government shall never be abolished. By exercising our Right to directly Alter our government, we are following the example of those who created the Magna Carta (1215), The Mayflower Compact (1620), The Declaration of Independence (1776), The Articles of Confederation (1781), and The Constitution of the United States (1787). When successfully implemented, the Interactive Declaration of the Citizens of the United States will codify and secure our unalienable right to directly oversee and manage our government. This will enable us to hold our government more accountable to its original purpose and limit our government's ability to violate National sovereignty, State sovereignty, our Unalienable Rights, our liberties, and our property. We will no longer need to suffer at the whim of our rulers without them being responsive to the will of the Citizens. We desire to combat the culture of corruption and deceit that permeates our political landscape. We do not believe we are being adequately represented by the career politicians and segments of the Media, who together, seem to be trying very hard to change the political and economic culture of the United States. For these reasons and many more, including our Love of Country and Liberty, we have created the Unalienable Rights Party to represent "We the Citizens." The Unalienable Rights Party is dedicated to uniting the wisdom of the Citizens, to preserve government by the Citizens, so that the Citizens can enjoy their God-given Unalienable Rights. IN GOD WE TRUST AND GOD BLESS AMERICA.